In February 2016, we announced that Distance Learning is now a part of a new group within the Kamehameha Schools educational system. This transition provides us with the opportunity to focus on the exploration of digital innovations and allows us to broaden and diversify the reach of blended and online learning. We are forever grateful to all who inspired us with their passion for learning and sharing Hawaiian culture and ʻōlelo. While it’s sad to say goodbye, we look forward to the future. If you would like to be informed about our upcoming innovative opportunities, sign up on our new mailing list. It has been a pleasure these past nine years to aʻo aku, aʻo mai (share and learn) with all our learners. 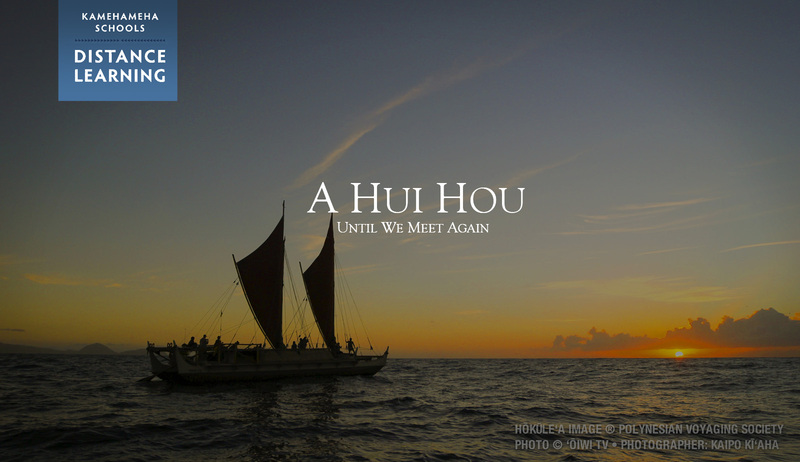 We want to mahalo our Aʻo Makua and Aʻo Kumu ʻohana who supported, inspired and shared their aloha with us. We hope you will continue to remain with us as we embark on the exploration of digital innovations. Take virtual field trips right from your own home! Watch videos at your leisure. 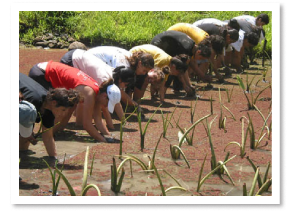 Extend your Hawaiian cultural learning by viewing the various resources available to you each time you visit our website.